Keep Your Drive-Thru Safe & Secure. Contact us today to request a free quote and to discuss products to keep you, your employees, and your assets safe, secure, and out of harm's way. The CSE-QS-QSB-12 allows an easy transfer of items large and small. You can choose from a clear, high visibility material or stainless steel for the serving door. Options are also provided for call buttons and speakers to create a complete drive-thru package. 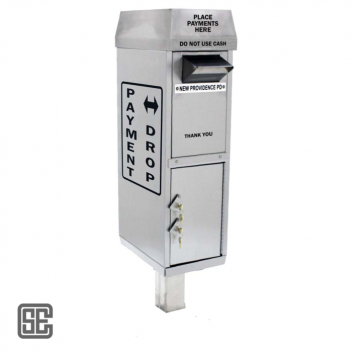 The 650-DIG drop-off cabinet allows easy drive-up access and an extended deposit slot that makes it easy for all customers to drop off their payments. Options are available for alternate signage, multiple snorkel slots. The unit comes in multiple sizes. All SC models come standard with 1/4" clear tempered glass, but can be customized with Level 1 bullet-resistant glass. The hook-bolt lock helps to prevent outside intrusion. An easy to grasp thumb-turn allows for ease in the operation while locking the unit. Covenant Security Equipment offers several Speak-Thru Communicator options, with and without microphone boosting for a variety of applications to help you accomplish two-way communication with ease. Great for drive-thrus, movie theaters, ticket booths, sports arenas, and anywhere that communication is integral. 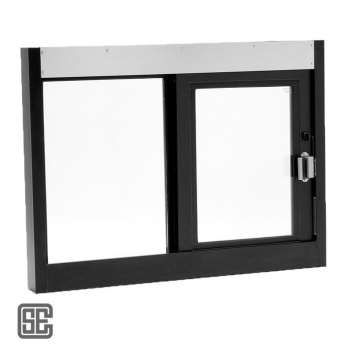 Covenant Security Equipment automatic electric windows can be activated hands-free with the inclusion of a Photo-Electric Bar, activated when the attendant stands between the emitter and the receiver. Available on all electric sliders. 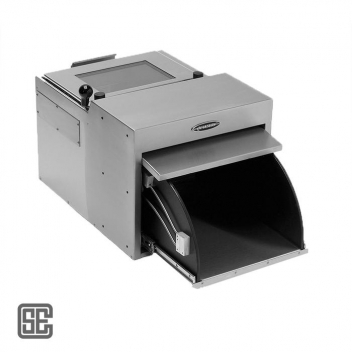 Covenant Security Equipment offers an optional Push Button for all electric sliders, making every transaction available at the push of a button. Get a custom quote from our knowledgeable team. Take advantage of our free shipping. It's a simple process! Let us help you be safe. Explore our extensive selection of drive-thru products. Operate with piece of mind in a safe and secure environment. Covenant Security Equipment offers standard product sizes as well as custom-sized products to meet your building requirements. We are committed to excellence, superior craftsmanship, and impeccable customer service for each product sold. All of our products are crafted with care and extensively tested to ensure that your employees and assets remain safe under any circumstances. Call now to learn about our products and receive a free quote. Quality and Safety In Mind.